Looking for a new and better way to book babysitters? Try UrbanSitter! Founded by four busy parents, UrbanSitter is an online resource to find sitters recommended by people you know—so you feel secure in hiring someone you trust. 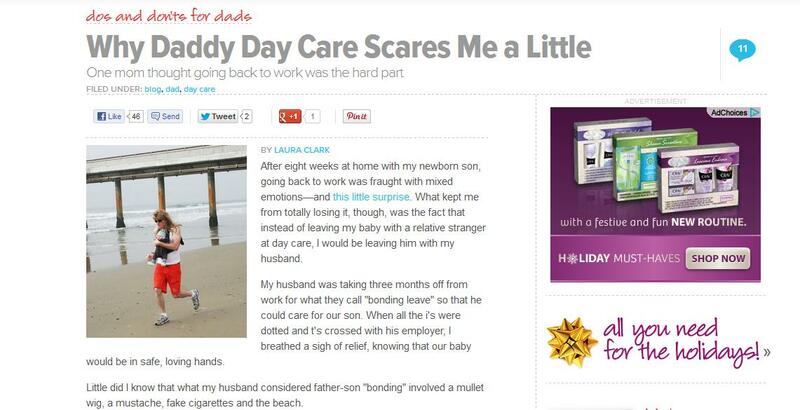 Everyone knows it's tough to find a babysitter. In fact, to tell you the truth, Ian and I don't really have one for CC, let alone Baby Will. You might remember that we had our awesome nanny/sitter for CC when she was smaller -- Stephani, whom we trusted with all of our lives. But since then, we've relied mostly on visits from my mom. Which is kind of sad, because she doesn't come that often. Part of it is that I want someone I can trust. Another part is that I'm kind of picky. One of CC's camp counselors gave me her card this summer, and on it she said she helped kids with tutoring. Only she spelled it "tudoring." Yikes. 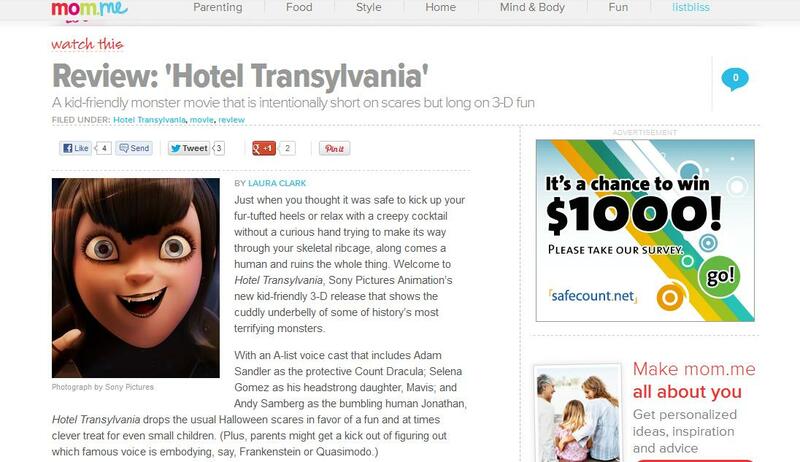 Maybe that's just the editor in me, but it was a total turnoff. That's why I was excited to check out UrbanSitter, courtesy of a "speed-dating" event hosted by the online company and MomsLA. Not only did I get to check out an innovative way to find potential sitters, but I also got to meet a few candidates, too. What's awesome is that the site syncs with your social networks, so you can see which of your Facebook friends have hired a particular sitter. Great for getting trusted info, because friends can also review the sitters they've chosen. Not only that but you can also get email reminders and check out your sitter's bookings. And, did I mention the service is free?! Can't wait to book my first night! 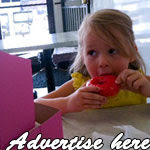 Check out UrbanSitter's sweepstakes, where you could win 1 year of free babysitting! CC burst into our bedroom this morning and asked us what we were thankful for. The picture above (CC is doing the chicken dance for Baby Will) is a good start. It's all about kids and cooking tomorrow, Nov. 17, at Books and Cookies in Santa Monica. 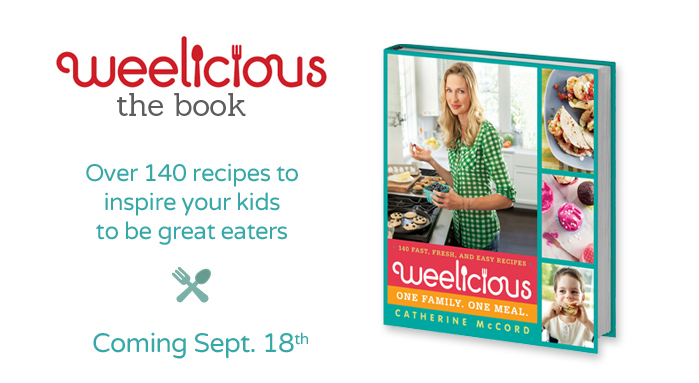 Catherine McCord -- of Weelicious recipe blog fame -- will be on hand to talk about her new book, One Family, One Meal, and sign copies. The cookbook features more than 140 kid-friendly yet nutritious recipes. 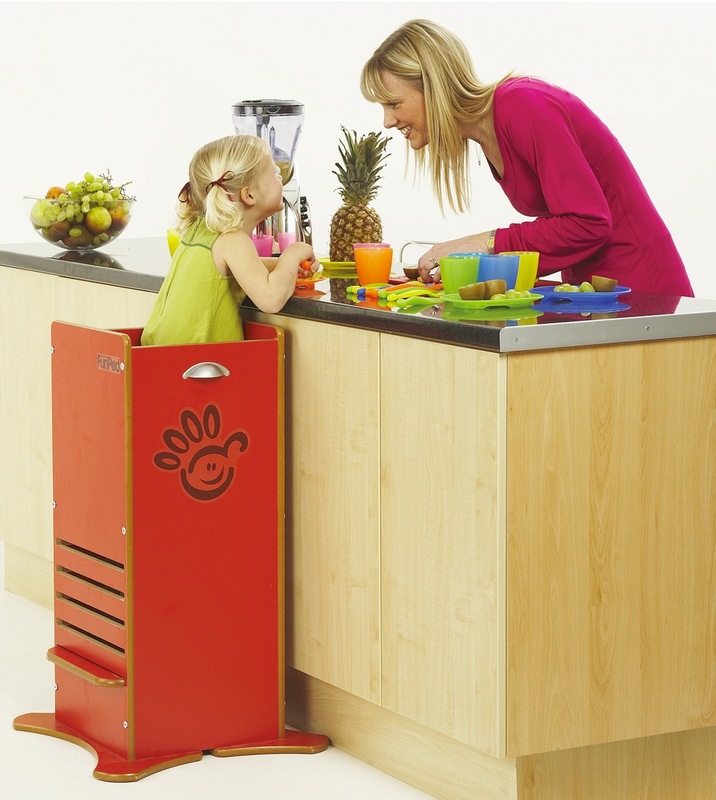 Not only that, but visitors will also be able to check out The FunPod, a crafty piece of furniture that allows children ages 12 months to 6 years to sit safely next to the kitchen counter top, so they can watch mom or dad make breakfast, lunch or dinner. You can find the FunPod on the Luca & Company website, which spotlights functional and design-friendly children's items. Sounds like fun for all those junior chefs out there! Baby Will at 1 month. 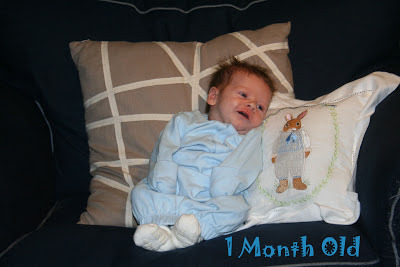 Can't believe Baby Will turned 1 month on Monday! Honestly, it's been such a blur. Most of that time has been spent awake -- seriously -- even during the dark-of-night hours. I forgot how nursing = no sleep. We're having fun getting to know our little guy, with CC calling him "my baby" and putting on toothbrush shows for him when he cries. 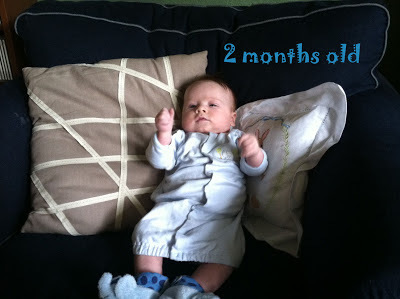 Can't wait to see what Month 2 brings -- hopefully, more zzz's. Just in case you missed catching a movie with the kiddos over the long weekend, here's your chance to snag a sneak peek of Dino Time, from Clarius Entertainment, for free! Featuring voice talent from Jane Lynch (she's everywhere these days! 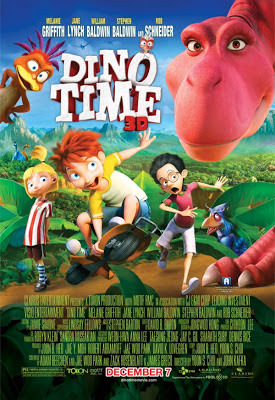 ), Melanie Griffith, Rob Schneider and Stephen and William Baldwin, Dino Time is about three kids -- Ernie, Julia and Max -- who accidentally turn on a time machine in Max's dad's workshop and head back in time 65 million years. 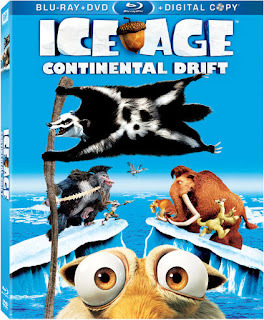 The kids are adopted by a friendly dinosaur family, which tries to protect them from the grumpier dinos, while the kids' parents try to find a way back for them. The Hub has an exciting Saturday planned -- for those kids, including my own little girl, who are crazy about a certain group of ponies, as well as a new herd of colorful, talking creatures. In addition to airing the season premiere of My Little Pony Friendship is Magic (Saturday at 10 a.m. ET/7 a.m. PT), The Hub will premiere a new series, Littlest Pet Shop (Saturday at 11 a.m. ET/8 a.m. PT). CC and I caught a sneak peek of Littlest Pet Shop, and it looks like a clever and colorful Saturday morning addition. The show centers on Blythe Baxter, a little girl who has moved to the Manhattan-esque big city with her pilot dad (sans mom, but that goes unexplained). Blythe is precocious and very sure of herself -- a positive trait I love for my daughter to see. In fact, when she bumps into a couple of "mean girls," she stands up for herself from the get-go. Talk about a great example for little girls. Blythe and her father move into an apartment above the Littlest Pet Shop, which is in danger of closing. In the opening two episodes, this fashion-forward little girl discovers that she can talk to the little critters -- which include a monkey, dog, gecko, hedgehog (not a porcupine!) and a skunk -- and that they need her help. But can Blythe help save the pet shop? The show is gorgeously animated, with candy-colored animals, cityscapes and fashion. It definitely pops off the screen. What's also interesting is the pairing of Littlest Pet Shop alongside My Little Pony. Both shows seem to have the same smart-girl sensibilities. That is, they're headlined by clever girls who aren't afraid to show off their smarts -- or their (often dry) senses of humor. They're also confident enough to put friends in their place, should they go off track. CC enjoyed the episodes -- and especially loved when Littlest Pet Shop dog Zoe burst out into song. Look forward to checking out more! CC, before she rips open the Mattel Toy Story boxes. UPDATE: Congrats to Barbara, who won the Mattel Toy Story Color Splash goodies! Bath time -- or pool time, for that matter, here in sunny SoCal -- is way more fun when you have toys to create splashy stories with. In fact, CC loves to put on a show anytime she needs to put soap to water. 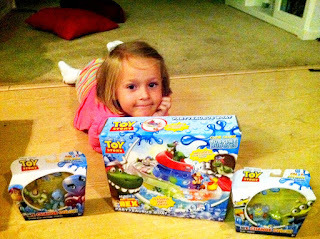 That's why it was extra fun for her to receive Mattel's Toy Story Color Splash Boat (SRP: $19.99) and two Toy Story Color Splash Buddies Two-Packs (SRP: $8.99 each), as part of Mattel's Disney Insider Program, to help create imaginative aquatic adventures come bath time. 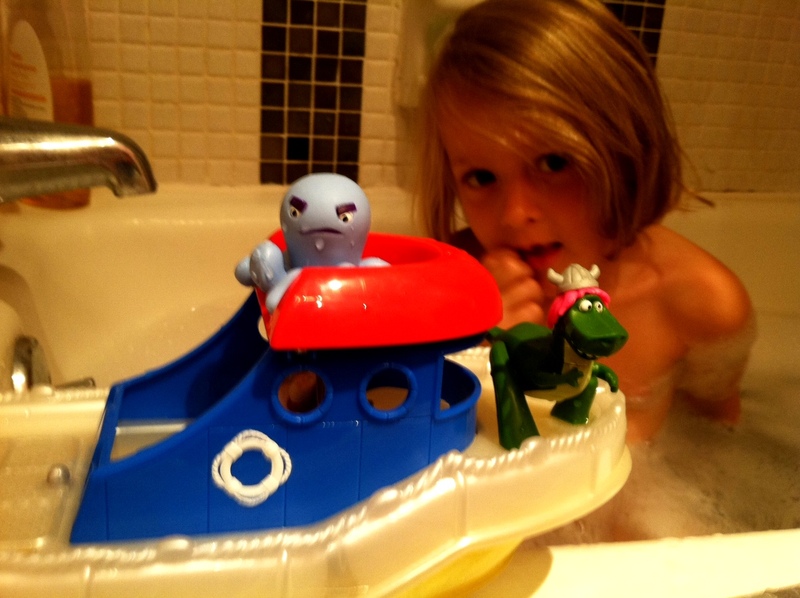 She was able to try out these fun, color-changing toys and introduce a mini Buzz Lightyear, Partysaurus Rex and a particularly grumpy-looking octopus to her brand of bath-time fun. Kids can definitely get creative with these toys, as CC did, inventing rescue stories and dividing the figures up into separate teams. I'm giving away 1 Mattel Toy Story Color Splash Boat and 2 Color Splash Buddies packs, courtesy of Mattel. To enter, please leave a comment describing your child's favorite bath-time adventure. Good luck, and I will announce the winner on Friday, Nov. 9! CC dressed as an ice princess for Halloween. I know I'm a few days late on this one, but I wanted to capture it nonetheless. CC was so excited to be an ice princess for Halloween, and I want to capture her in this adorable costume. As you might have noticed, it's been a bit difficult to keep up daily -- or even more than once-a-week -- posting while I'm out on maternity leave. 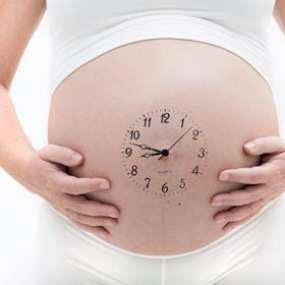 Newborn life is so all-consuming that it's difficult to focus on much else. Stay tuned for more posts, though. 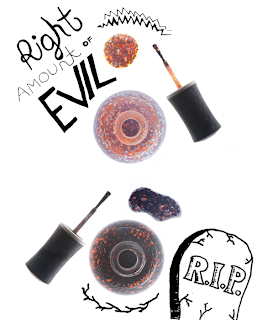 They might be sporadic, but the posts will keep coming! It's so hard to believe that it's been four years since I decided to start chronicling life with my little smurf. We've been on so many adventures, and I can't wait for more. In fact, our biggest adventure is probably yet to come ... in about 12 days, if my doctor is correct. CC has been so wonderful about the prospect of getting a new little brother. First, she called him Tom (it was either that or Jerry), then Target (guess you know where we go all the time) and now William. We'll see if that one sticks. 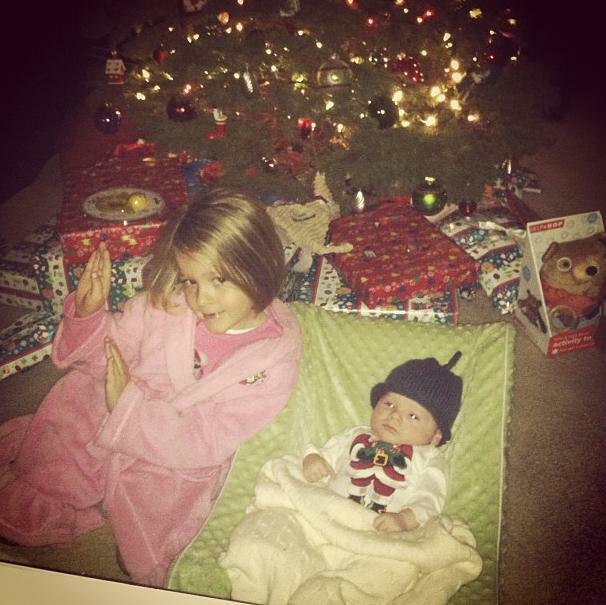 She's such an amazing girl, and I know she'll be a wonderful big sister. Tom/Target/William will be lucky to have her. 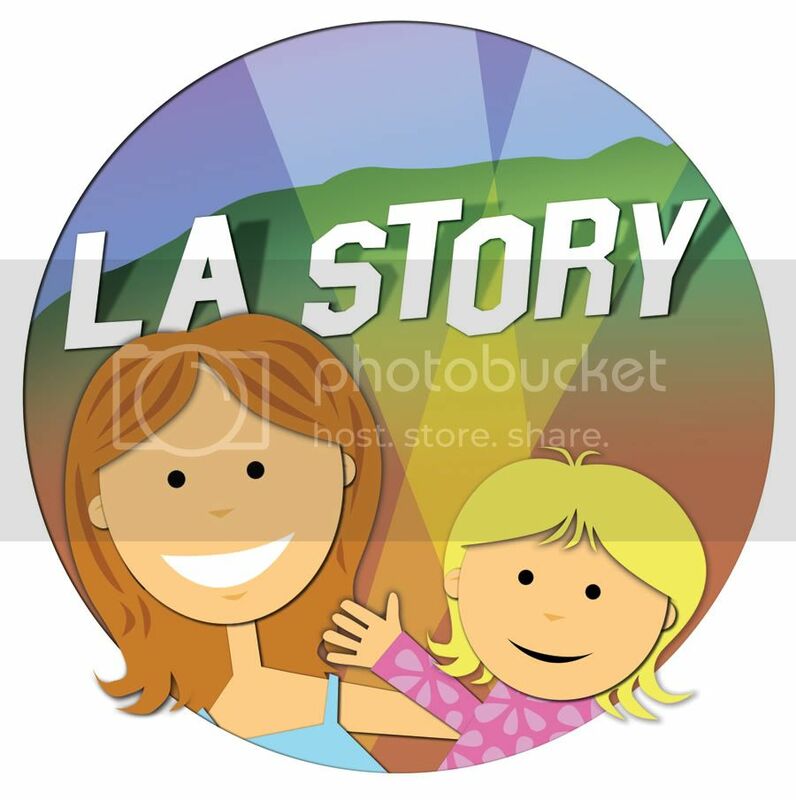 And I'm lucky to have the great readership that has come with L.A. Story. I love reading the comments (here and on Facebook and Twitter), and I'm so thankful that people are interested in reading about our lives in L.A. Thank you! 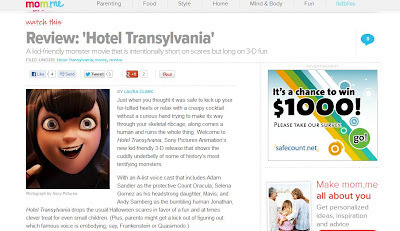 The super-kid-friendly Hotel Transylvania, from Sony Pictures Animation, opened today, and you can check out my mom.me review here. UPDATE: Congrats to Marcela, who won the Ladybug Girl and the Bug Squad book! Please email me at losangelesstory@gmail.com with your address. Thanks to everyone who participated! You know I love reading -- and I especially love reading to CC. It's so important to both Ian and me that her world is filled with imaginative books that she can pick from every night before bed. 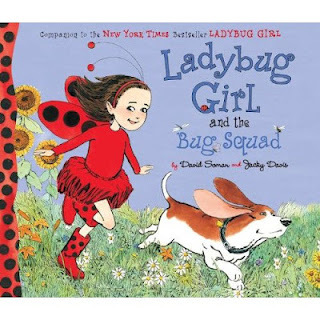 CC and I read it before bedtime tonight, and it's an imaginative story about Lulu, a girl who leads her friends on a fun bug-themed adventure outdoors. But she has her own friendship lesson to learn when she does something without asking first. 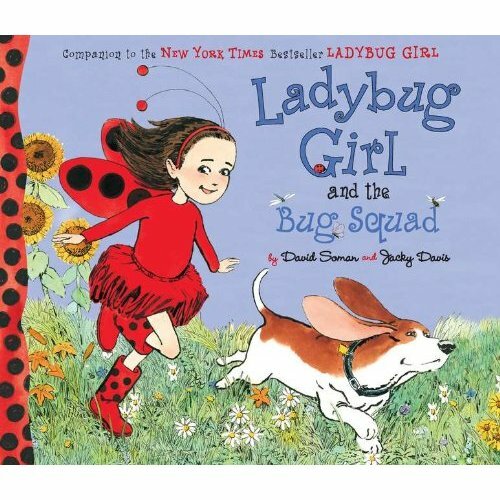 I'm giving away 1 copy of Ladybug Girl and the Bug Squad, courtesy of Jumpstart. To enter, please leave a comment telling me your child's favorite book. Good luck, and I will announce the winner on Wednesday, Oct. 4! UPDATE: Congrats to Ruth, who won the studio taping tickets! I'll send an email with further details. Thanks for playing! I laughed out loud at your comment. The show stars Anthony Anderson, Jesse Bradford and Zach Cregger as the dads Gary, Chris and Nick, respectively, and Tempestt Bledsoe, Jamie-Lynn Sigler and Erinn Hayes as the moms. And, according to NBC, "no tantrum is too loud, no diaper is too dirty -- Nick, Chris and Gary are up to the challenge." Stay tuned for my interview with Anthony Anderson and executive producer/creator Charlie Grandy! 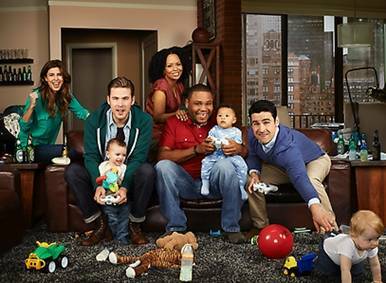 I'm giving away 2 tickets to see a live studio taping of Guys with Kids, courtesy of NBC. To enter, please leave a comment telling me your best/funniest/favorite parenting moment. Good luck, and I will announce the winner on Wednesday, Oct. 3! If you're looking for a rousing, mom-friendly movie this weekend, check out my mom.me review of Won't Back Down, starring Maggie Gyllenhaal and Viola Davis. 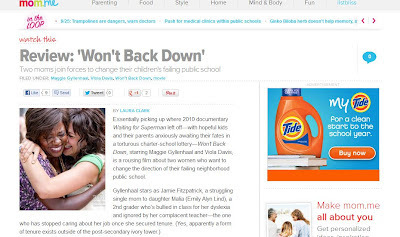 The film, from Walden Media and 20th Century Fox, is about two moms (one a teacher) who want to fix their children's crumbling public school. It should definitely get you fired up -- if only to finish that volunteer project you promised your child's teacher would be done by Monday! Guess Who's Losing Her Teeth? It all started this summer with her bottom teeth, but another one has just been sent to the Tooth Fairy. Between this and kindergarten, I feel like my little CC is growing up so fast! 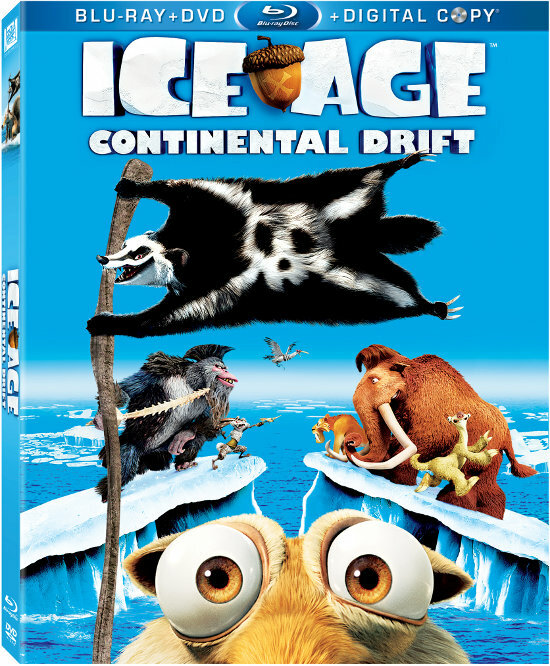 UPDATE: Congrats to kidstuff, who won the four DVDs from NCircle! Please email me at losangelesstory@gmail.com with your address, and I'll have it sent as soon as possible. Thanks to everyone who participated (and to Random.org for helping me decide)! School is officially back in session, and kids are getting into the swing of rising early and adjusting to homework. I know CC has had to get used to both -- especially the homework part, which was a bit of a shock after the playful bygone days of preschool. 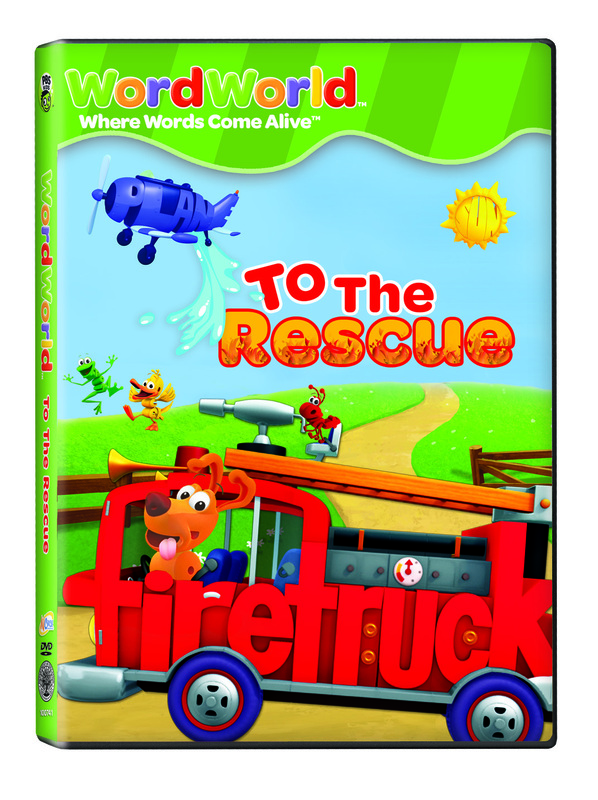 Luckily, courtesy of NCircle Entertainment, I'm giving away a few back-to-school DVD treats that should make the weekends extra fun. 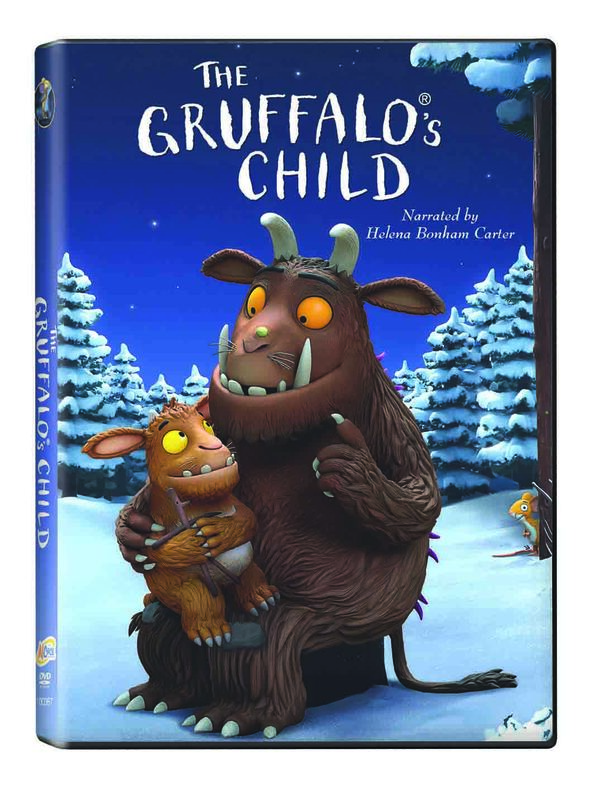 The Gruffalo's Child, the sequel to one of CC's favorite short animated films, The Gruffalo, is the sweet story of a little girl gruffalo who wants to explore the world beyond the snowy cave where she lives with her dad. 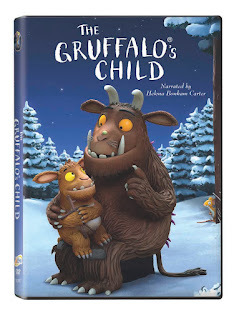 Even though Daddy Gruffalo warns her not to visit the deep dark woods -- and tells her a scary tale of the Big Bad Mouse -- this only serves to pique her curiosity more. She bravely sets off on her own in search of this mysterious mouse. CC has had a lot of fun with this DVD, and I think a craft day is in store very soon. 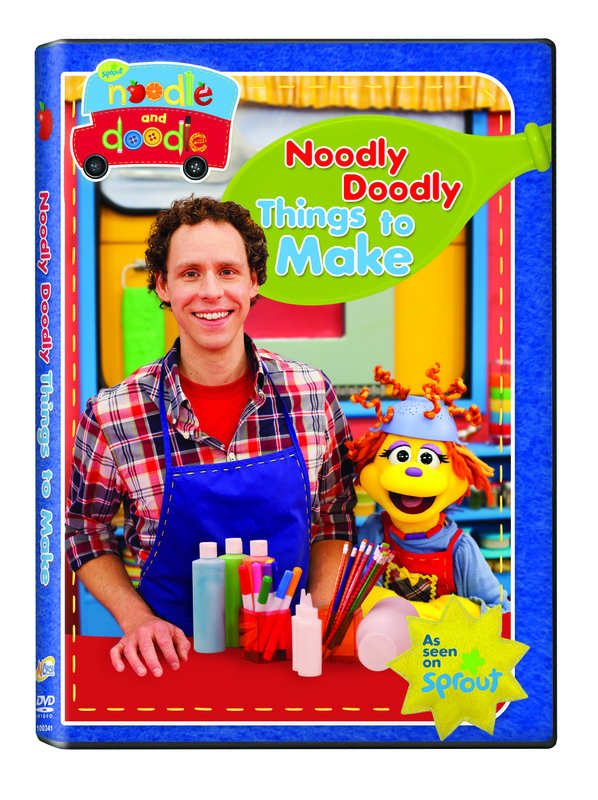 Noodly Doodly Things to Make, a show you might have caught on Sprout, offers kids and parents fun and easy crafts to make, including butterflies, as well as bake-sale treats. What I love is that Sean and friends Noodle and Doodle also encourage kiddos to clean up. Nice! 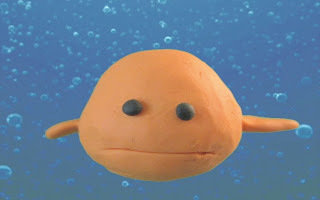 I'm a big fan of WordWorld. Any show that turns everyday objects into actual words and makes that fun for kids gets an A+ in my book. In WordWorld: To the Rescue, Duck and Fly want to be firefighters like their friend Firefighter Frog. But the gang -- and the kids at home -- have lots to learn about what to look for before they see a fire (*cough* smoke *cough*). CC has really gotten into dinosaurs over the past year, so Dino Dan is always great for inspiring lots of prehistoric-based questions. 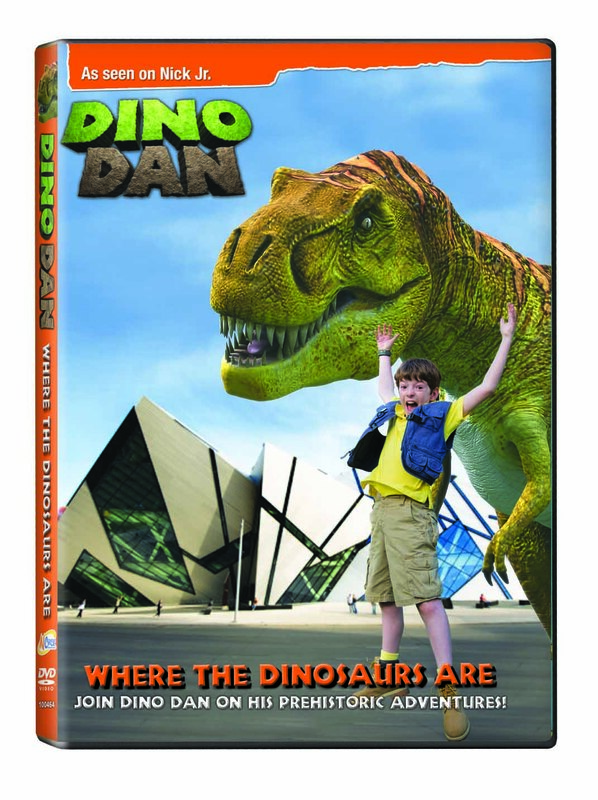 In case you haven't seen it, Dan's the kid who uses his imagination to bring dinosaurs into real life -- well, only he can see them. 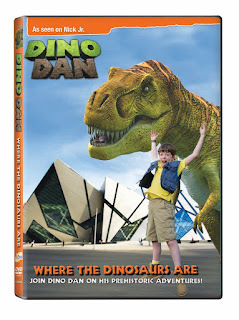 On Dino Dan: Where the Dinosaurs Are, there are lots of story lines, from Dan teaching a baby Triceratops to outwit a hungry Spinosaurus to a sleepover adventure at the Royal Ontario Museum. I'm giving away all 4 of the above NCircle Entertainment DVDs! To enter, please leave a comment telling me your child's favorite part of school so far. Good luck, and I will announce the winner on Friday, Sept. 28! When it comes to planning kids' festivals, some organizers draw inspiration from children's TV or even family-friendly events around the city. Not Paul Kim, creator of the annual ZamFest Arts & Music Festival for kids. His inspiration? The uber-hip and decidedly un-kid-centric Coachella Valley Music & Arts Festival, which draws thousands of hipsters young and old to the Coachella Valley every year. "It was great how (the Coachella organizers) focused on the experience itself, and it wasn't a giant commercial event," Kim said. And that's exactly what he wanted to bring to the Los Angeles area -- not only for little Angelenos ages 10 and under, but also for his daughter, Zoe, who's now 8. 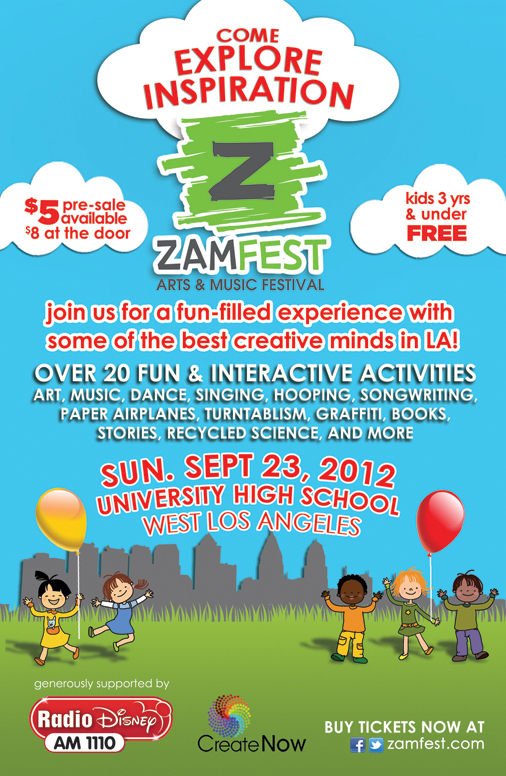 ZamFest, now in its second year and taking place on Sunday, Sept. 23, is a kids festival that offers a variety of interactive games and activities geared toward the right side of the brain, Kim says. Kids, he adds, are being shorted by LAUSD, what with all of the cuts, especially to arts and music classes, and he wanted to offer something to families that was equally as important as 2+2=4. Not only that, but he was also less than impressed with other kids' festivals around town. "I would take my daughter to kids' festivals, and over and over again I'd be disappointed," he says. "The focus wasn't on the kids. There would be booths of people selling stuff and maybe a bouncy house. I was really inspired by Coachella and thought that someone needed to put together what they did -- where festivalgoers are engaged with the experience and not the bottom line." So Kim replaced the vendors with creative-based businesses (songwriting, music, paper-plane making) that would engage kids on a creative level. 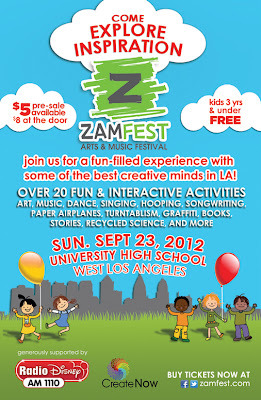 He decided to call it ZamFest, both for Generation Z (aka, our kids now) and for his daughter, Zoe. While last year's festival took place in Long Beach to attract visitors from both L.A. and Orange Counties, this year, the festival will be firmly situated in West L.A., at University High School. And that's not the only change. This year, to accommodate kids who are completely wrapped up in activities, Kim has gotten rid of the stage for live music, instead opting for a street performer feel, a la Santa Monica's 3rd Street Promenade. That way, kids can walk by and see the performers on their level instead of having to look up at a stage. Sounds like an event that can inspire the kiddos -- especially his own. "I've tried to include (Zoe) as much as possible," Kim says. "She helped design the T-shirt and logo." And last year, he adds, "she was running around like she owned the place." 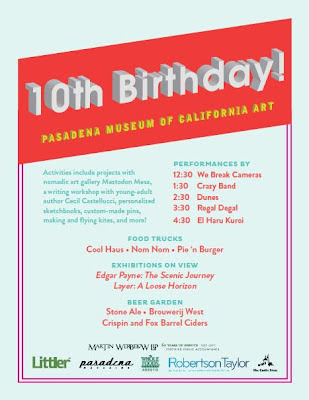 Happy 10th Birthday to the Pasadena Museum of California Art, which is celebrating the occasion this Saturday, Sept. 22, with a free, family-friendly party. In addition to cool exhibitions of landscape artist Edgar Payne and sculptural artists Layer, the museum will also have live music on offer, as well as hands-on workshops for the kiddos, video art, DJs, food trucks and more. CC and I haven't yet visited the museum, but this sounds like a fun outing for a California kid to learn more about his or her home. UPDATE: Congrats to James Hames, who won the tickets and parking pass to the L.A. County Fair! Please email me at losangelesstory@gmail.com with your address, and I'll send them right away. Thanks to everyone who participated! This year, while going to the fair has become such a great tradition with us, we're going to sit this one out. At eight months pregnant, I'm feeling the need to stay close to home and out of the sun. It's been so hot lately, and I think I would totally melt -- or pass out, another pastime of mine -- if I walked for more than five minutes in the scorching sun. That said, I still wanted to give away tickets to the L.A. County Fair, which runs through Sept. 30 at the Fairplex in Pomona. In addition to the always awesome FairView Farms (yay, pigs, and goat-filled petting zoo! ), the rides and the signature food, this year the fair will feature A Living Library of Fun. 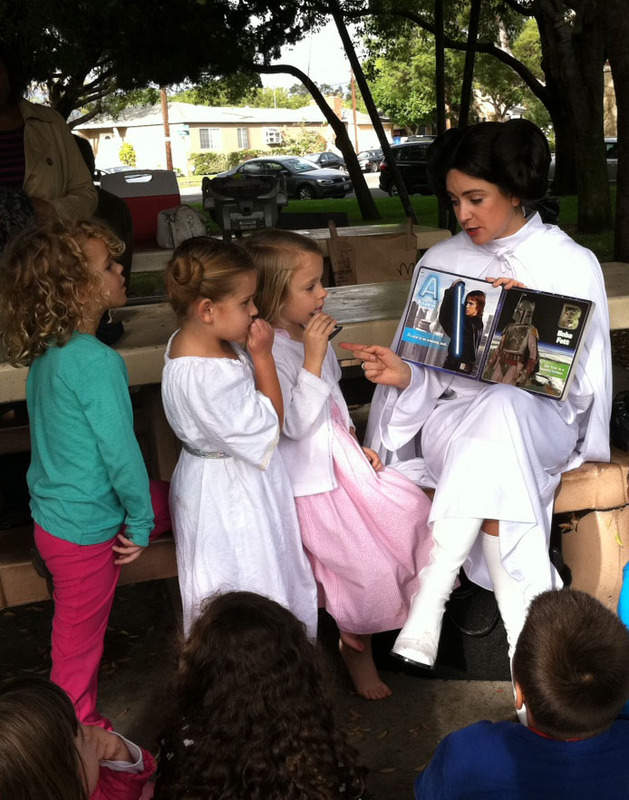 Kids will be able to explore 8-foot tall books and see fictional characters make real-life appearances. Apparently, children don't even have to whisper. (A plus for kiddos like mine.) They'll also be able to spot favorite superheroes on Saturdays and Sundays and participate in arts and crafts. 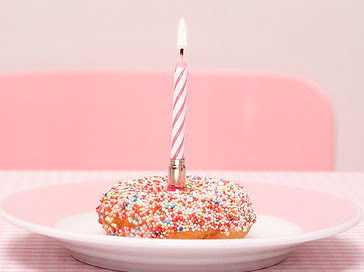 Hope they have all of that next year, when we have another L.A. Story kiddo to introduce to donuts and, yes, goats! I'm giving away 2 tickets and 1 parking pass to the L.A. County Fair. 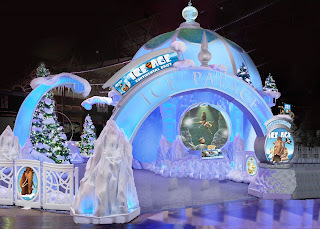 To enter, leave a comment below telling me your favorite part of the fair. Good luck, and I will announce the winner on Wednesday, Sept. 19! 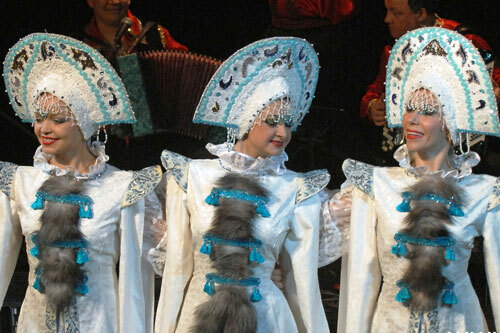 Barynya, a group that performs Russian music and dance, will kick off the 10th anniversary season of World City at The Music Center. World City at The Music Center, a program that offers free performances from international acts, will kick off its 10th anniversary season on Saturday, Sept. 15. Hailing from countries such as Russia, Colombia and Sweden, performers from all over the world will introduce their music and culture to Los Angeles-area families on select Saturdays or Sundays through May 18. Performances are free and will take place at the W.M. Keck Foundation Children's Amphitheatre at Walt Disney Concert Hall downtown. First on the lineup is Barynya, a group that performs traditional Russian, Ukrainian, Siberian and Jewish dances, among others. Not only will families be able to enjoy the traditional music and dance, but they'll also be able to check out the colorful, handmade costumes and instruments such as the balalaika (a triangular-shaped guitar). Other performances on the schedule include Scandinavian dancers, a zydeco group and puppet theater from Taiwan. 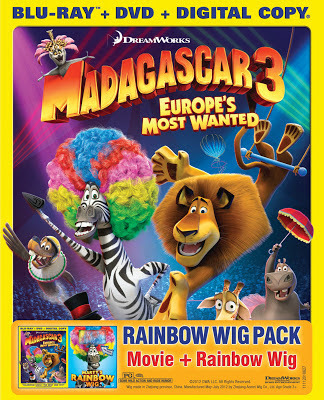 Extra fun for the kiddos are the free passports that will be given out at each performance!